Behind every great day is a great night at the Comfort Inn Near Medical Center hotel in Mission, TX located off Interstate 2. 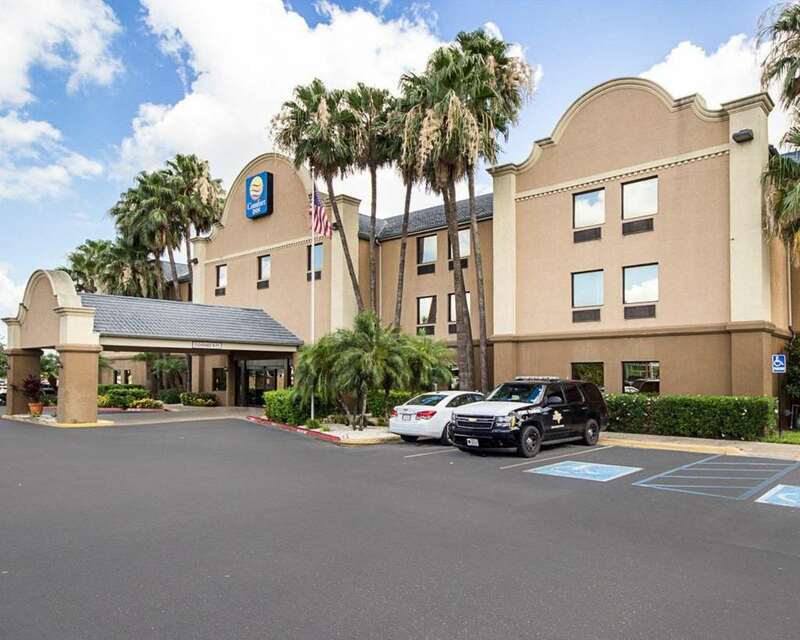 Nearby destinations include the McAllen Convention Center, McAllen Miller International Airport, Anzalduas International Bridge, La Plaza Mall and Cimarron Club. Bentsen Rio Grande Valley State Park, Santa Ana National Wildlife Refuge and Los Ebanos Ferry are also close. Enjoy amenities like free hot breakfast, free WiFi, guest laundry facilities, seasonal outdoor pool, meeting room and business center. Guest rooms include a refrigerator, microwave, coffee maker, hair dryer and work desk. Also, earn rewards including free nights and gift cards with our Choice Privileges Rewards program.